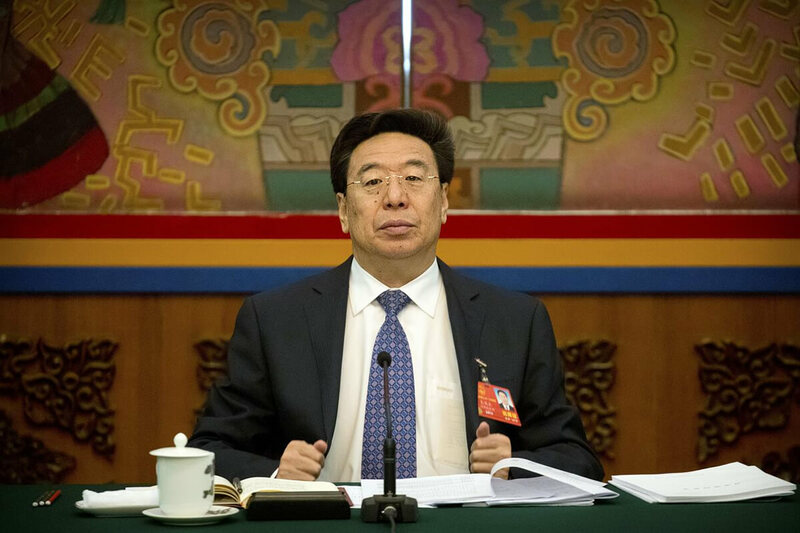 Couple of weeks back we reported on a Tibetan online news source which was using Chinese propaganda terms for Tibetan place-names and territories. The journalist who wrote the particular article very kindly contacted us to express her understanding on the concerns we had raised. Hopefully there will be progress on that. Meanwhile today we see on the front page of the highly respected Tibetan Review a headline that may have been scripted in China’s ‘Minstry Of Deception’. This is very disappointing. Another highly respected Tibetan publication promoting the disinformation of the Chinese regime. As we noted previously when something’s plain bad we’re going to call it out, especially if it’s negatively impacting on a clear and accurate understanding of Tibet. Its March 5 report on the recent blizzard in Eastern Tibet with some concern. 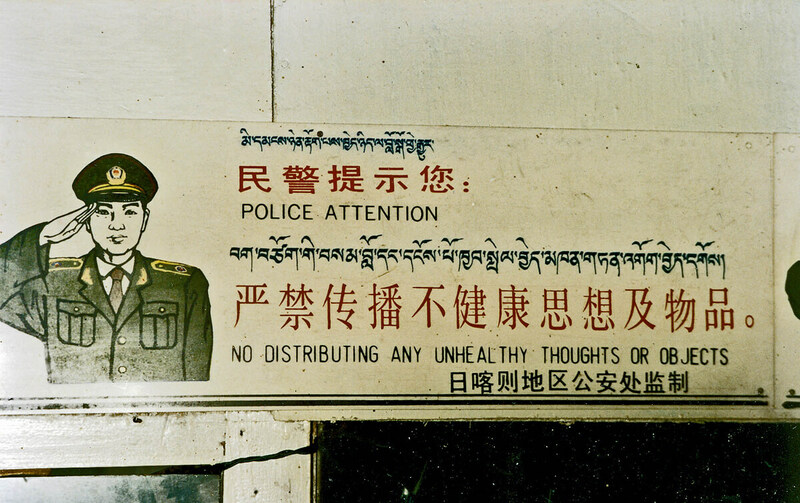 Apart from the sadness on reading of the loss of animals and hardship for Tibetans, our attention was distracted by descriptions of Tibet in the language of the Chinese regime. This particularly troubling as the Tibetan Review is edited and administered by Tibetans based in India. 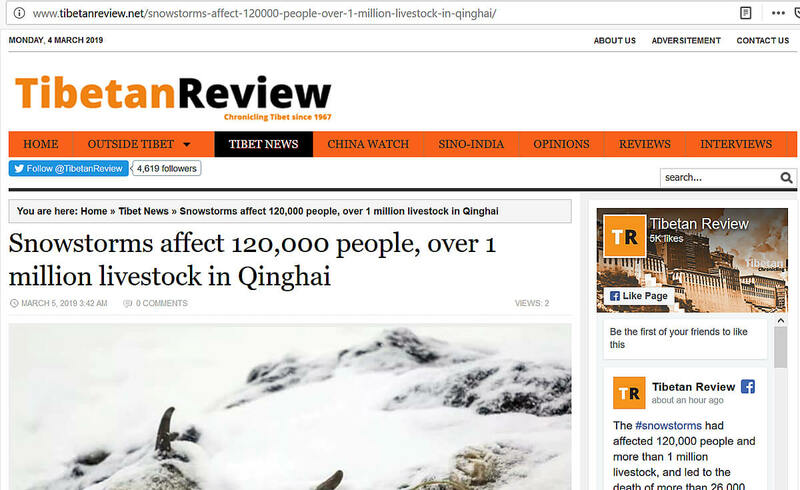 The report was headlined as: ‘Snowstorms affect 120,000 people, over 1 million livestock in Qinghai’. This last term comes right out of the Chinese regime’s geographical place-name committee and is a propaganda construction. 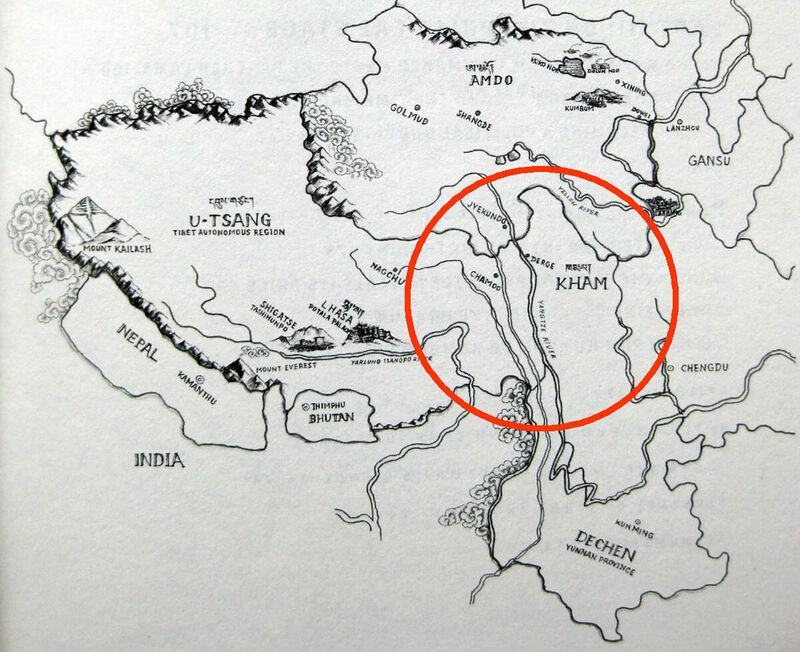 Designed to promote the baseless claim that Tibet’s part of China. Such descriptions are calculated to mislead and deceive people, a fact which the Editor of the Tibetan Review would be acutely aware of. So why therefore is this much respected journal on Tibet repeating such pro-Chinese regime distortions? We can only presume they apply this policy through a combination of the following. 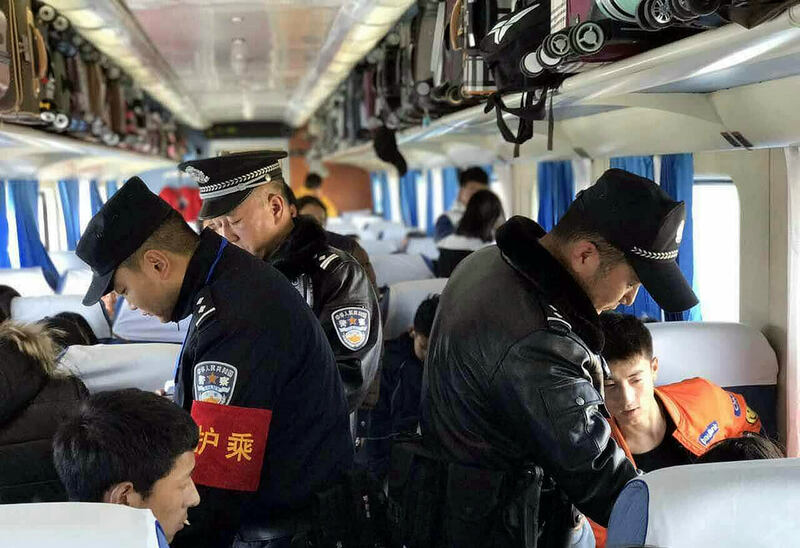 An ill-judged belief that in so doing reports are invested with a veneer of detached objectivity, although how uncritically repeating the lies of China’s regime achieves that status is of course debateable. Alternatively it maybe an example of lazy journalism, simply copying and pasting China’s official narrative that’s so corrosively available across the internet. Whatever the reasons, surely the Tibetan Review would realize its responsibility to ensure its readers and subscribers are provided reports which aren’t tainted with the bias of Chinese propaganda terminology. But it’s not so easy to be complacent on that when reading content such as: “…Yushu (Tibetan: Yulshul) Prefecture of Qinghai Province”. This syntax is widely used and promoted by the Chinese authorities. Yet it was given editorial approval! That the language medium of the Tibetan Review is in English shows its reaching out to a wider readership than the exiled Tibetan community. 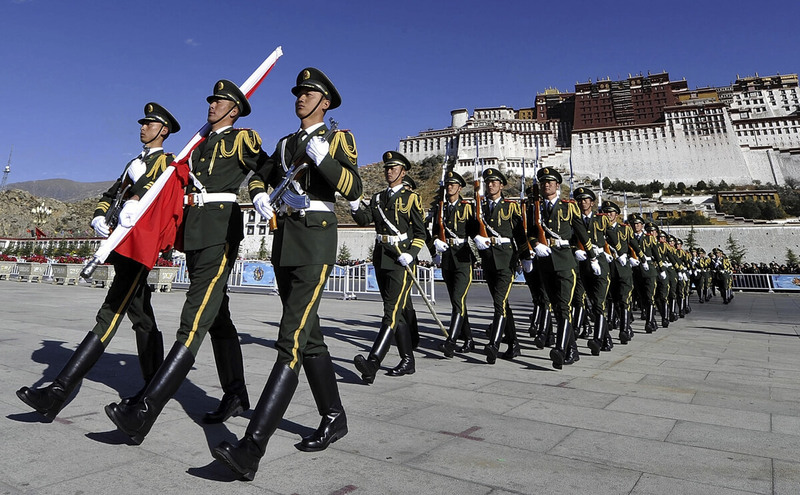 As such its highly regarded output has a critical role in assuring that Tibet, its cause and territories is represented accurately and factually. 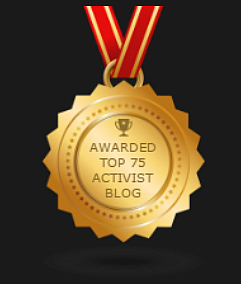 Regurgitating the falsehoods of China’s tyrannical government fails that objective.